The past few days have been full of errands. I have been running nonstop from one place to another. This afternoon, arms loaded with bags, I came in my front door, dropped everything and made this cocktail. 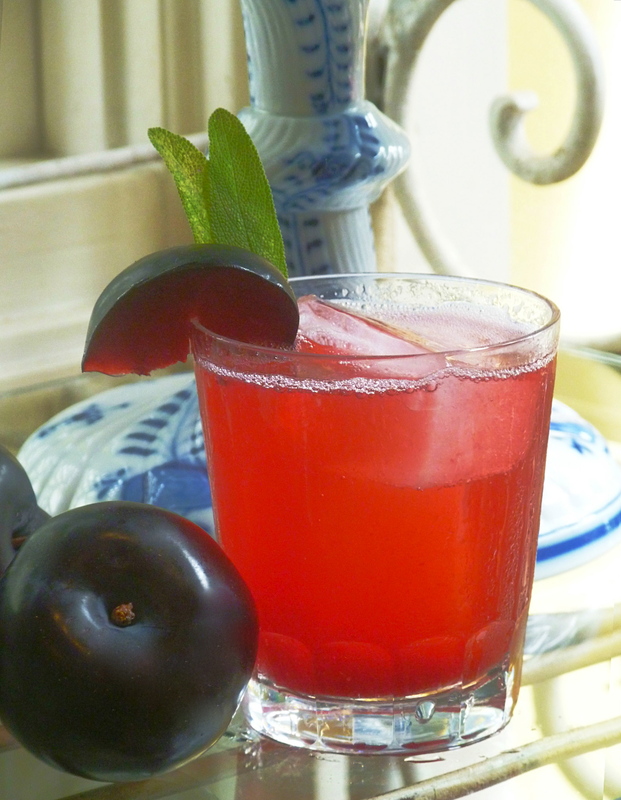 An ‘Au Natural’ plum cooler with my favorite pisco. It was the perfect way to un-wind and catch my breath. Add all ingredients into a chilled rocks glass with ice. Bar spoon stir. Top with Fever Tree Club Soda, stir again. Garnish with a sprig of sage and a plum wedge. Cut plums into fourths. Add plums and water to a small saucepan. Bring the water up to a boil for two minutes, and then turn down to a simmer for ten minutes. Let cool. Fine strain solids out and syrup into an airtight container. Combine all ingredients into a saucepan. Bring up to a boil. Turn down heat and let simmer for ten minutes. Let cool. Fine strain into an airtight container.